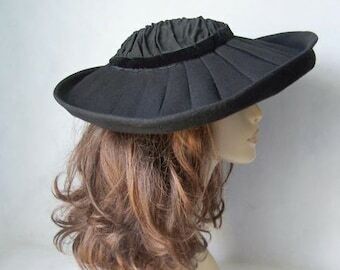 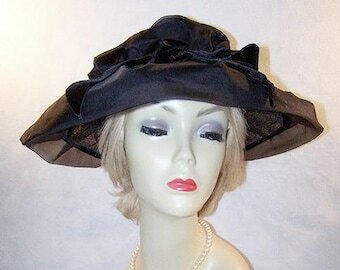 Vintage 1950's black wide brim hat in very good condition. 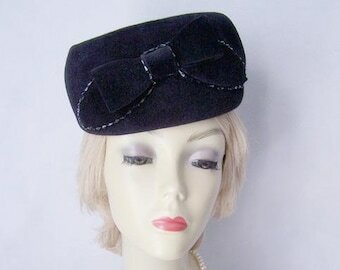 Trimmed with fabulous black cabbage roses, black felt leaves, and a thin velveteen ribbon band and bow. 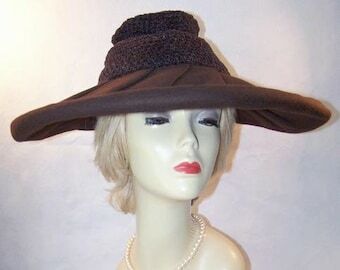 Labeled, "Hats by Eva 461 Park Ave New York". 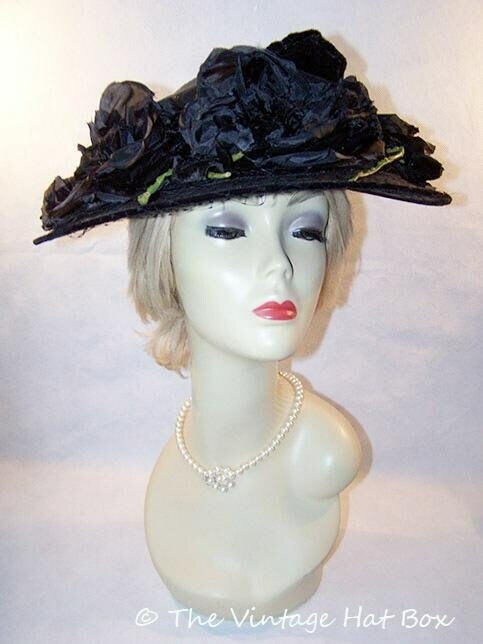 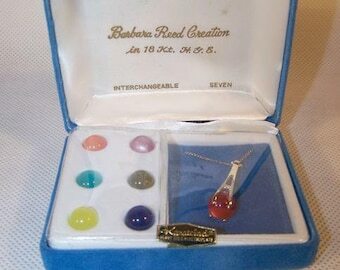 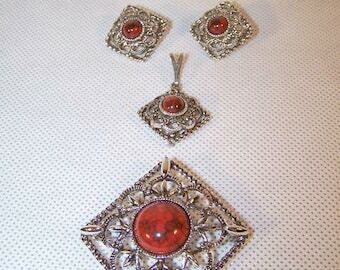 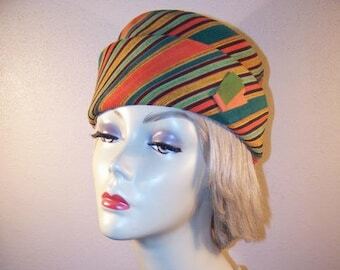 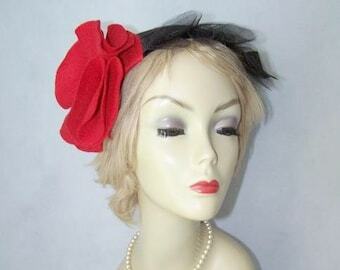 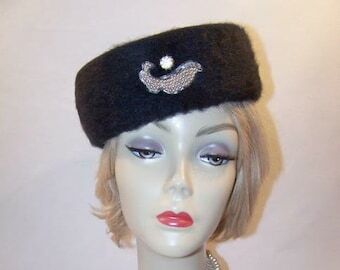 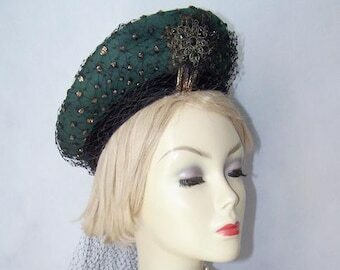 Includes a black flocked vintage hat pin. 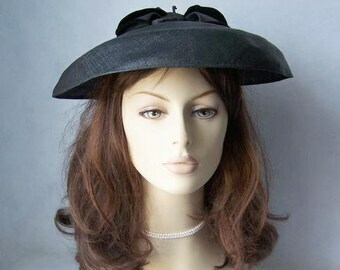 Measures 14 inches (35.5 cm) wide. 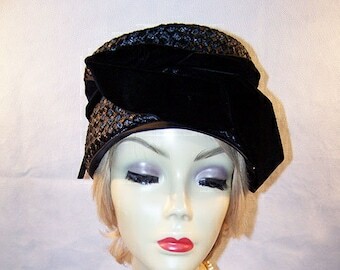 Inner band measures 20 inches.